There's a great deal of misinformation in the recruiting marketplace about what sources actually work for hiring. Organizations are struggling to decide where to best invest energy and resources. In this webinar, Ray Rike, Chief Operating Officer at Accolo is joined by his colleague Cynthia Countouris, VP of Marketing to share insights on where their clients are finding their best hires. Which channels are mostly high volume noise and which are delivering great candidates consistently. 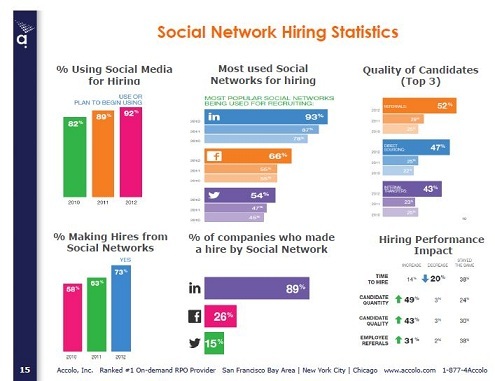 Compelling hiring statistics about job board performance from CareerBuilder, Craig's List, DICE, Indeed, Job Central, (The) Ladders, Monster, Simply Hired, and more. 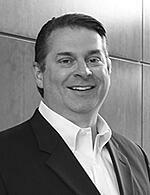 Ray Rike, Chief Operating Officer, Accolo Inc. Ray brings 25 years of SaaS, software, and services leadership with significant experience in building and leading high growth global sales, marketing and service delivery teams. Previously Ray held senior executive roles at public, multi-national companies including GE Global Exchange Services (GE), QRS (QRSI) and has held key leadership roles at emerging technology companies including Accruent, MarketFirst and Netscape at their joint venture (Actra) with GE. Ray graduated from The Ohio State University with degrees in computer science and operations management. Ray is also a graduate of the GE Executive Management Development Program. 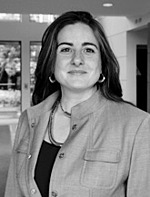 Cynthia Countouris, Vice President of Marketing, Accolo Inc. Prior to joining Accolo, Cynthia Countouris provided executive and product leadership to several Silicon Valley firms including Sawyer Media and MarketFirst, a founder of the marketing automation space, where she was VP of Product Management and Marketing. Before MarketFirst, Ms. Countouris led marketing technology and IT groups for such industry leaders as Autodesk, Inc. and Silicon Graphics, Inc. While at Autodesk, she provided industry expertise to SAP directing the development of their SAP:ISSW release, a specific layer supporting the contracts, marketing, product licensing and subscription tracking requirements of software manufacturers. Ms. Countouris received her B.S. and Masters of Science in Industrial Administration (MBA) with concentrations in Marketing and Information Systems from Carnegie Mellon University.